Aylin Woodward and Sarah McQuate are journalists in the Science Communication Program at the University of California, Santa Cruz (UCSC). This course of study takes scientists and molds them into effective communicators over the course of a year. One of the students’ projects was creating a video on a topic of their choice. 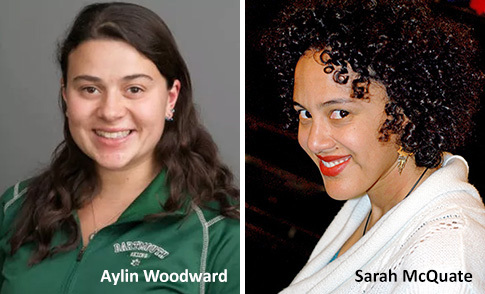 Inspired by a mutual interest, Aylin and Sarah wanted to highlight diversity in graduate STEM programs, i.e., those offering training in science, technology, engineering, and mathematics. They chose to focus on the experiences of their peers at UCSC’s Astronomy and Astrophysics Department. What they found was a nationally prominent department attempting to address the status quo. Their 5-minute film, Change from Within, explores the efforts of UCSC astronomers to make their field more welcoming to talented minority and women scientists. In the video four graduate students of color and the department's ambitious chair share the challenges they've faced and potential solutions for the future. For more information about Aylin and Sarah, check out their websites: aylinwoodward.com and sarahmcquate.com.